“To be free is not merely to cast off one’s chains, but to live in a way that respects and enhances the freedom of others” – Nelson Mandela. There are very few countries in the world today whose mention evoke images associated with their iconic symbols. South Africa is one of those lucky ones whose name immediately connects with Nelson Mandela and with its Wildlife. Symbols so powerful that returning tourists feel obliged not to leave without buying any souvenirs depicting these icons. Our trip to SA began at O.R Tambo Johannesburg Airport and straight away there is an impression created that here are a people who, by nature, are extremely pleasant and cordial. Our first stop was at Kruger Gate, at the very edge of the vast Kruger National Park, stretching out as far as Mozambique to the north and Swaziland to the east. 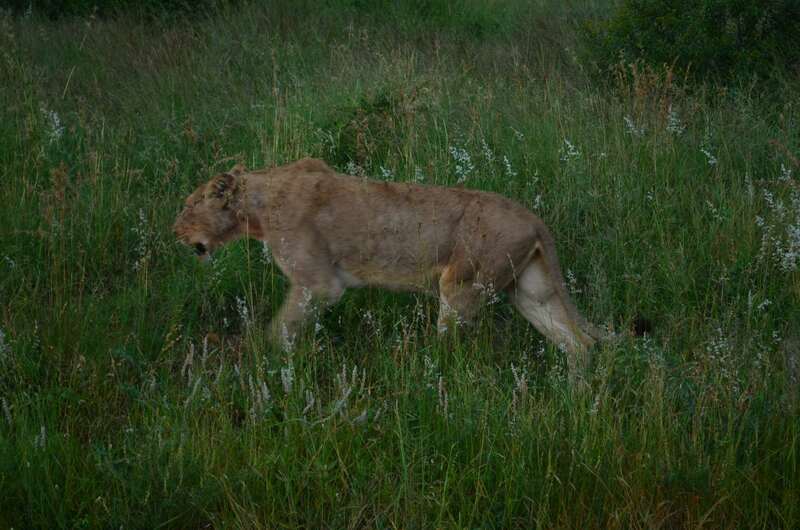 The prospects of seeing the Big 5 of South Africa – Lion, Elephant, leopard, Cape buffalo and the rhino; so called because of the difficulty in spotting or hunting them on foot – are very good. The resort here, The Portea Hotel, is a real delight, combining modern luxuries with the feel of the jungle beyond. There are two alternative drives back to Jo’burg. We chose the longer panoramic one. Locally known as Egoli (in Zulu) or ‘place of gold’, Johannesburg’s history holds a beacon of hope and tolerance to the rest of the World. Comparatively a young city (only about 175 yrs old), it was established by the wandering Dutch Boers (farmers), away from the marauding British, who had muscled their way into the Southern Cape Area for strategic purposes. This pastoral Boer Community had, a few decades earlier, been pushed out from their homelands by an intolerant Reformation Movement that was sweeping across Europe. This was ‘the great Trek’ – the Voortrekker, a journey into the unknown by hundreds of devout Christian families whose only means of defence were the Holy Bible and a few rudimentary arms, that providentially proved more than adequate against the local tribesmen armed for a Stone Age battle. 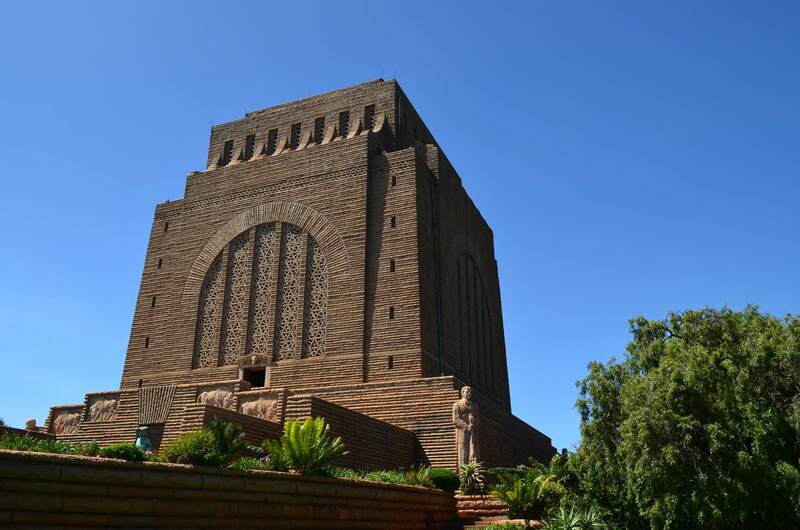 This pioneering journey is represented by a cheerless majestic monument in neighbouring Pretoria. Thus was born the Boer Republics, with Paul Kruger as one of its most famous presidents. Johannesburg’s childhood years were rather unhappy. Whereas the discovery of diamonds (around 1870s) did not attract much world attention, the discovery of gold (around 1880s) created a “Rush” similar to the ongoing ones in California and Australia. The predatory British were not ones to stand by and watch the Dutch grow fat. Soon a treaty was signed between them to share the wealth mutually and leave the locals out. But it was short-lived, with the European neighbours declaring war on each other, with the Dutch coming out in second place. As Johannesburg began to boom, colour prejudice and racial segregation became firmly entrenched. The blacks were confined to a distant part of the town in an area called SOWETO, (derived from SOuth WEst TOwnship), which probably was the first urban ghetto ever. The turnaround of this area over the last two decades is an Urban miracle and an eye opener to all architects and city planners everywhere. From being a sore thumb it has become SA’s most popular international tourist destination, remarkably with no external help. There is no other city in the world where two Nobel Peace laureates have lived on the same street – Nelson Mandela and Desmond Tutu. Over the first half of the 20th century, Johannesburg was a hotbed of riots, racial tensions, police firings and political rallies. With apartheid being passed into law in 1948, matters became worse. Political dissidents like Mandela and many others were imprisoned at Robben Island, near Cape Town. With their release in Feb 1990 and the abolition of the much-hated apartheid a year later, the country launched itself into a healing process by repealing discriminatory laws and dismantling many ‘whites only’ institutions. The “Truth and Reconciliation Commission” gave all the offenders a chance at amnesty. Sad to say, the ghosts have not been fully exorcised as yet nor have they fully gone away. The apartheid museum is a trove of unmatched information on the subject. Adjacent to it (and maybe deliberately, since it all began here) is Gold Reef City – a gold mining town with an intact defunct shaft displaying all the paraphernalia used during the early years. To keep the footfalls going, an amusement park has been attached to it. Overall Jo’burg comes across physically as a rather unremarkable city. For wildlife enthusiasts, the Lion Safari in Jo’burg offers a hand-shake- distance chance of seeing these powerful beasts at close quarters. The visit also offers sights of unfettered leopards, cheetahs, giraffes, a white Bengal tiger (not a native), wildebeests, wild dogs, hyenas, ostriches and meerkats. The third leg of the trip took us through the pintsized airport at George, east to the little touristy town of Knysna – the base from where to visit the natural wonders of the Cango Caves. This is a 5.5 Kms underground labyrinth of tunnels with indescribable formations of stalactites and stalagmites. The mighty Artist on High is at work here. The floor of the caves left intact in many places is a nightmare with deep seemingly bottomless cavities; and for the early explorers, with only candles to go by, it must have taken an enormous amount of guts and adrenaline. Currently, only about a kilometre or so is open to the public. Other more sedentary attractions at Knysna are a lovely cruise on its lagoon and a visit to an Ostrich farm, a lucrative business considering the regular income that each bird generates, from its eggs and feathers, not to mention the hundreds of curious tourists, for whom this bird is familiar only through proverbs. The final leg of the journey was a drive along the famed Garden Route, to the southernmost tip of the continent – to Cape Town. The Table Mountain, its most famous landmark forms a gigantic backdrop screen. There are only two ways to its top. One is by a weather-dependent cable car ride and the other is a pedestrian trek. Sensibly, vehicular traffic is not allowed to go all the way up. Once on top of the windy flat table, the views all around are incredible. The second most popular spot in Cape Town is the Victoria & Alfred Waterfront, with its innumerable shops, hotels, eateries, music bands, art displays, to suit pockets of all sizes. – The Company Gardens that at one time supplied fruits and vegetables to transit ships of the Dutch East India Company and now a well laid out garden in the heart of the City and the adjacent South African museum. – Bo Kapp, the Malay Quarter, with its streets of technicolour houses. – Greenmarket, a flea market for local souvenirs where hard bargaining is an accepted trade practice. – Castle of Good Hope, a 17th-century bastion built by the Dutch East India Company, originally located on the coastline of Table Bay, but now inland due to land reclamation (a national Dutch hobby). – Seals sunning themselves on a rocky outcrop at Houte Bay and ‘jackass’ penguins on a gusty beach where the wind was so strong that even the sand flew around like little pellets. The Kirstenbosch National Botanical Gardens, on the other side of the Table Mountain, must easily rank as the World’s best. It may not boast of as wide a variety of species as some of the others, but it’s setting is absolutely unbeatable and the most scenic. 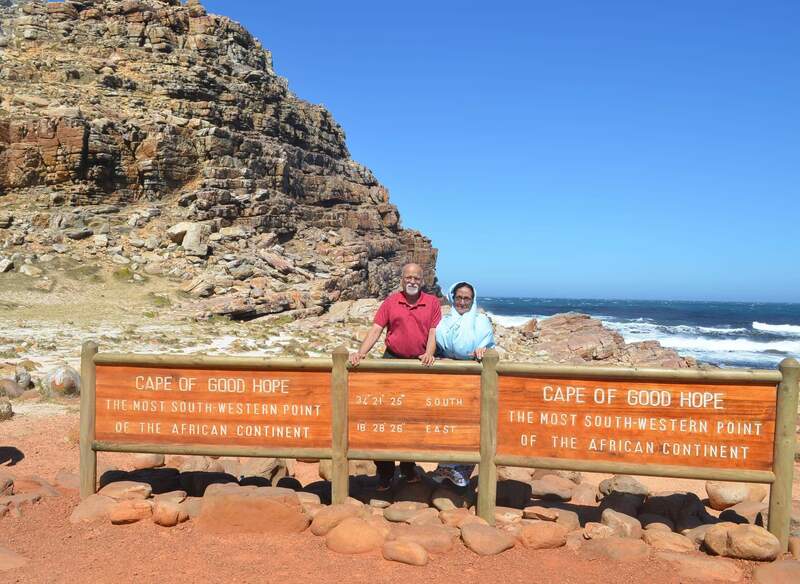 A tour of Cape Town, nay of South Africa, can’t be deemed complete without visiting Cape of Good Hope – the southernmost extremity of the African continent, made famous by Bartholomew Diaz and Vasco da Gama. Here again, the most notable feature is the strict regulation of vehicular traffic in an area designated as a World Heritage site. Putting up with a little inconvenience of long queues was nothing compared to seeing the pristine nature of the region. In conclusion and as an Indian I can’t resist a few comparisons, based on observations and on talks with a few locals since both countries are members of BRICS and ex-British colonies. The difference in the lessons learnt is heartbreaking for us. – In public places, there was a lot of discipline. Queues everywhere were orderly, non-pushy and unhurried. Everyone waited for their rightful turn. – Vehicular traffic on roads followed all safety and decency rules. No unnecessary honking, no wrong overtaking, no jumping signals, no parking as you please, no jaywalking, no aggression towards other road users. – There was hardly any litter on the roads, except in a few rundown areas of downtown Jo’burg. The quality of infrastructure, utilities and services is top class. Public toilets were jealously clean and with a copious supply of water. – Attitude towards tourists was cordial and helpful and for the most part non-expectant of tips or handouts; Except in Cape Town where there was a written warning in the hotel room about mugging. – TV programs and newspapers are down to earth – not glitzy, glamorous or sensational. Hence there is no ‘superstar’ culture. – Attitude towards Whites (15%), who had crushed them brutally and for so long, is neither hostile nor subservient. The Blacks (85%) are more than willing to forget apartheid and move forward on equal terms. 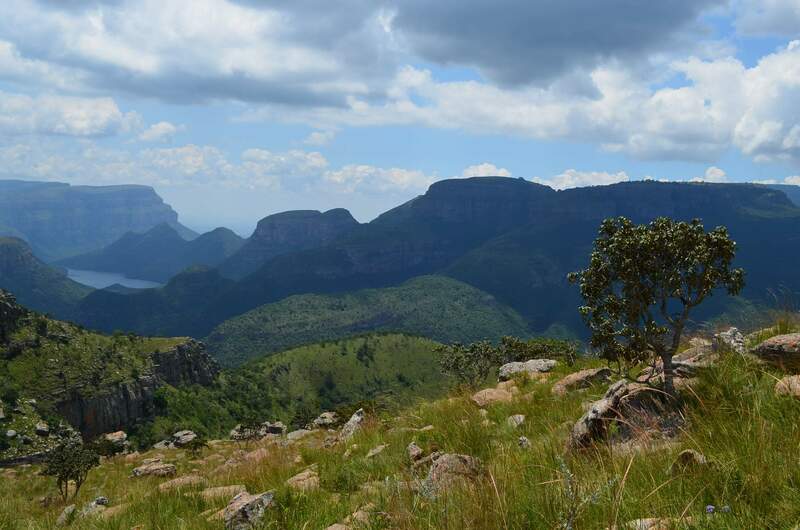 – All their tourist assets – forests, national parks, wildlife, beaches, heritage sites, cultural centres – have been immaculately kept, and treated as a National treasure. As a country, we need to take a few lessons from them.